ABA—ABIA State Chairman of All Progressive Congress, APC, Chief Donatus Nwankpa, was reportedly abducted by unknown gunmen at Isiala Ngwa along the Enugu –Port Harcourt expressway. Publicity Secretary of the Abia state APC, Benedict Godson, told Vanguard that Nwankpa was on his way to Aba with his aide and an unnamed official of the party when they were abducted by gunmen at about 11 pm, Monday. 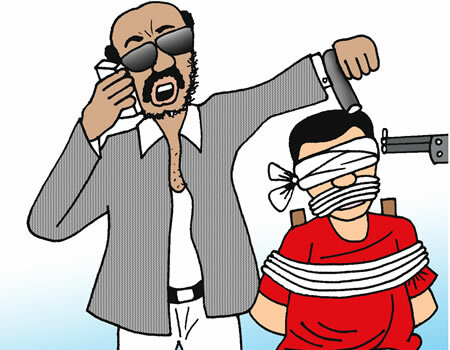 However, his aide was said to have escaped from the kidnappers. He explained that the kidnap of the party chairman was part of the plot to scuttle the party’s rally and President Muhammadu Buhari’s visit to the state, but he assured that the party will not be deterred in its bid to win the 2019 general elections in the state. The publicity secretary stated that the party is aware of some people, who claimed to be members of the APC, but are being used to destroy the APC in Abia and warned such members to desist or be exposed. Police Public Relations Officer, Abia State Command, SP Geoffrey Ogbonna, said he is aware of the incident, but was yet to get details as at the time of filing this report.